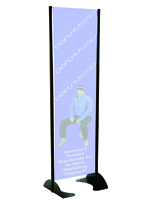 Designed to be mounted outdoors, this 20” x 72” black permanent banner stand is ideal for banking centers, restaurants, event locations and more! 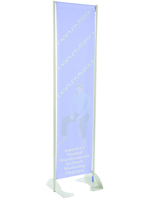 Crafted from 100% aluminum with a powder coated finish, each advertising display solution can sustain all of the elements and up to 60 MPH winds. 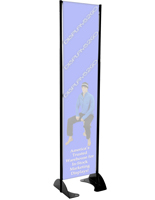 An outdoor mounting banner stand which features a spring loaded tension bar will keep the vinyl poster tightly in place using gravity and physics. 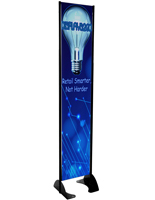 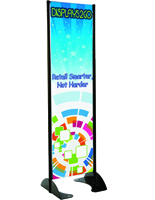 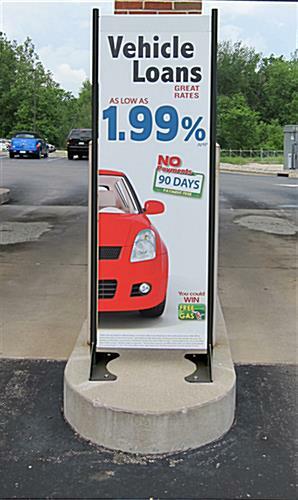 The display solution shown here was created to get your advertising posters maximum exposure allowing your team to implement strategic positioning for true visibility! 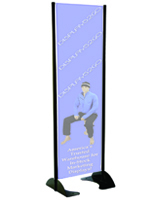 Made in the U.S.A, the banner stand represents real value and quality. 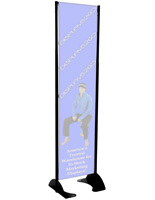 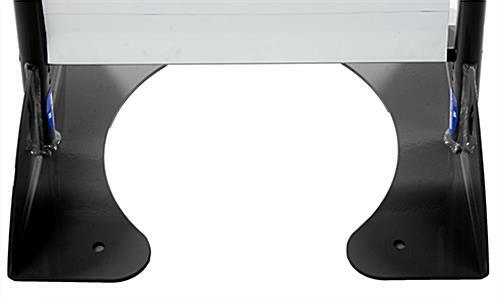 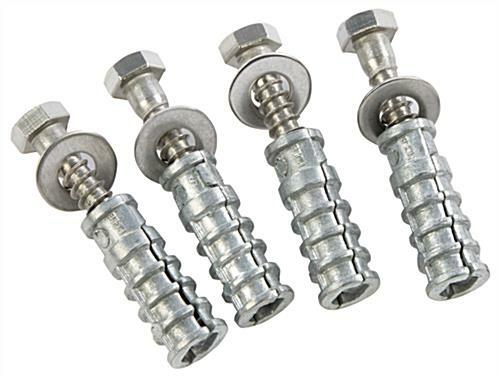 The vinyl poster holder can be mounted with the hardware included to hard surfaces such as concrete or wood.